Three years of the Green Investment Bank: what next? Following the ministerial statement by BIS and subsequent inquiry by the Environmental Audit Committee, the Aldersgate Group hosted an event to explore the risks and opportunities presented by the proposed privatisation of the Green Investment Bank (GIB). What measures should be put in place by the government to ensure that the GIB keeps a clear “green mission” going forward and remains effective at funding novel green infrastructure projects at scale without risking to crowd out private sector investors? 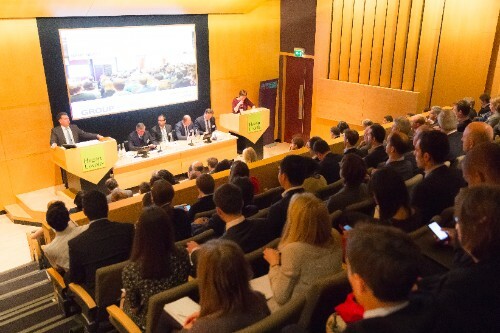 With a keynote by BIS Select Committee Chair Iain Wright MP, the debate included speakers from E3G, Aviva Investors, DONG Energy UK, and the Green Investment Bank Commission. Opening the event, Hogan Lovells Partner Andrew Briggs welcomed everyone in the packed room. He noted that Hogan Lovells has taken considerable steps in improving its own environmental impact and is setting up a new programme of hands on engagement, both of which are just “one small step amongst the many” that business is taking across the country. 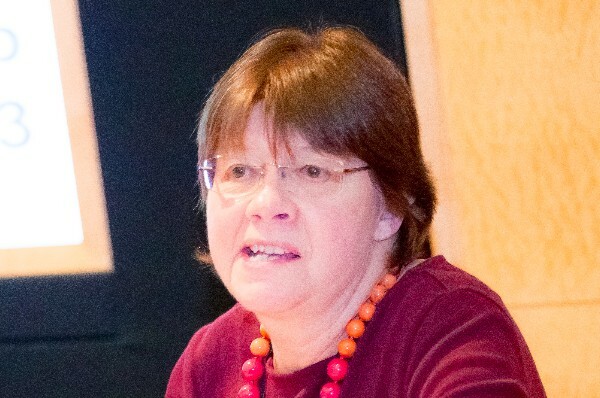 Presiding over the debate, Aldersgate Group Chair Joan Walley highlighted that the GIB is at a critical crossroads given this month’s announcement confirming the privatisation process. It is unclear exactly how the government’s proposed privatisation will impact its effectiveness; transparency on its actions moving forward will be key. Whilst there are currently more questions than answers, the “real issue here is that the GIB isn’t just a one-off policy. It is part of an overarching policy which, especially during the run-up to Paris, is all about the UK having a leadership role on the international stage”. 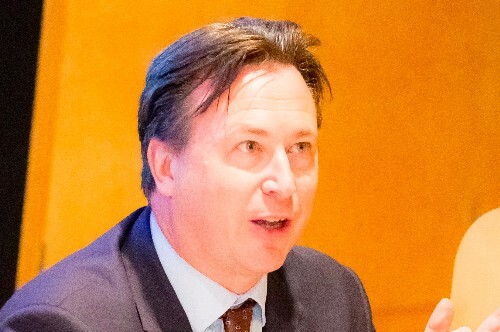 Nick Mabey, Chief Executive of E3G, criticised recent government announcements and the now necessity of discussing a “rushed and botched privatisation process”. Mr Mabey noted the collapse in investor confidence driven by the new government’s policy announcements. “The government is now aiming to reset energy policy and try to undo some of the damage that it’s done to investor confidence”. He noted that the GIB has a critical role in restoring that confidence, but “not if it is paralysed by a privatisation process”. He disagreed with the argument that privatisation would facilitate its borrowing powers given that these powers were to be granted once government debt start falling as a ratio of GDP, which the Office for Budget Responsibility predicts for next year. “There is no fiscal responsibility reason for removing the Bank from balance sheets because it was in the height of austerity that the rule was made”. Privatisation also threatens the UK’s access to £315bn in the European Fund for Strategic Investment. Mr Mabey emphasised that the government cannot be vulnerable to investor trepidation of going to new places and must instead entice them to those areas like low carbon investment. “It’s about the frontier and the GIB was meant to drive that frontier”. 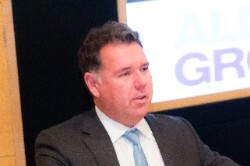 Allan Vlah, Fund Manager at Aviva Investors, emphasised that the privatisation process does not automatically eliminate the GIB’s unique positioning in the market but could certainly undermine it. Aviva Investors is already committed to investing more than £500mn annually in renewable energy and energy efficiency. So it isn’t just the presence of capital that accounts for GIB’s added value but rather the type of capital. The GIB’s mandate allows for its investments to consider long-termism, take on more risks and fill gaps in the market where other investors have not or could not go in the past. Mr Vlah noted the “dramatic changes in policy in the last several months belies the issue of consistency and certainty and that will undermine a whole host of technologies and sectors”. The Bank has manifested its unique positioning in the market over the last three years and it is that uniqueness for which people need to be most concerned. 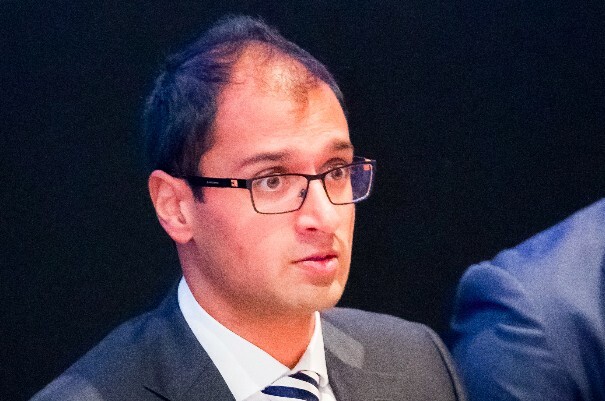 Kunal Patel, Lead Transaction Manager at DONG Energy UK, illustrated the critical role that the GIB played in the development of the Westermost Rough project. He noted that the project was very much a “first of a kind deal” given that it was the first offshore wind project to commercially deploy the new 6MW turbine and it involved inherent construction risks that had never been debt financed previously. 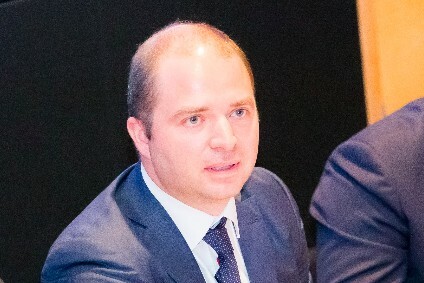 DONG Energy had already been in conversation with Marubeni and the introduction of the GIB into the discussion allowed for the kind of capital recycling that facilitates DONG Energy’s investment in the UK’s offshore wind sector. With privatisation, it is fundamental that any new shareholders and board members would “understand the benefits and potential profitability of being a first mover in the sector”. To drive innovation, DONG Energy and others in this space “will need capital in order to fund the scale of the generation requirement in the UK. It’s extremely valuable to have a partner who is open to new types of investment and technology and to be willing to put the work in to enable those to come to fruition”. 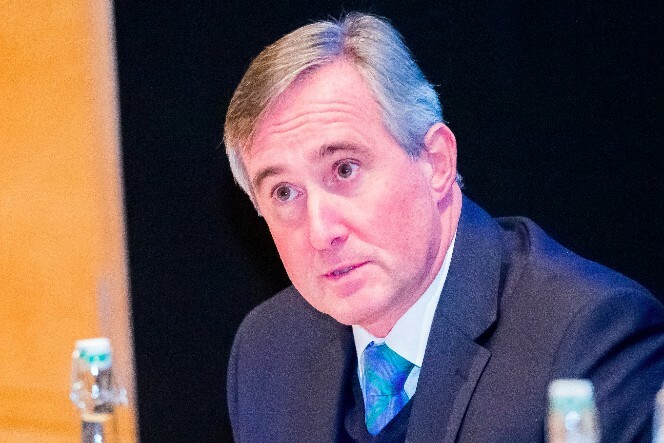 Bob Wigley, former Chair of the Green Investment Bank Commission, stated that the GIB had “become a centre of excellence for green investment and should be attractive on an ongoing basis to long-term infrastructure investors”. He noted that the establishment of the GIB via an act of parliament was key to its success. Regardless of privatisation, the “purpose and activities of the Bank are well established and likely to continue in the same vein”. He noted that the privatisation is a form of fundraising that “will enlarge its capital base and allow the Bank to borrow now that it will be off the government balance sheet”. Mr Wigley noted that it would be difficult to place safeguards to ensure that the Bank’s current expertise remains intact. Whilst the new organisation could build safeguards into its constitution, these could be amended by a future Board. “It is almost impossible to completely hardwire but you could see at least the first Board of the new entity building that into its mission and its articles”. Iain Wright MP, Chair of the Business, Innovation and Skills Committee, lamented that “it’s difficult to avoid the conclusion that government has abdicated any wish to lead in the global low carbon economy” given recent policy announcements like the privatisation of the GIB. The Bank has “proven to be a remarkably mature organisation” in its first three years and has established its credentials with the largest renewable fund in the UK, which now stands at £818mn. Mr Wright recognised the effectual leadership of the GIB that has enabled the bank to maintain a “balance of business and investment acumen with a green ethos and commitment to environmental concerns”. The Bank has therefore “provided confidence in what remains to be a forward moving, evolving and stuttering part of the new global economy”. He accredited its successes in leveraging additional private capital in part to the stamp that all its activities are ‘wholly owned by Her Majesty’s Government’. Mr Wright classed the government’s methods of privatisation as “questionable” and “fraught with risk” that must be closely scrutinised. 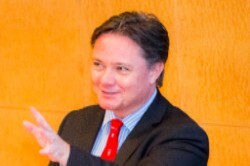 He expressed concern that “without the legislative protection design to safeguard the GIB, it will just become another bank without the security of government and under the pressure to relinquish that green distinctiveness in order to pursue profits and returns to shareholders and investors”. Mr Wright highlighted that the Government’s recent movements threatens a whole range of new emerging technologies. That is “a real tragedy not only in terms of impact on carbon budgets but on highly-paid, well-skilled jobs for our economy”.